This was my impression too until a few years ago, but the genetic evidence does point to gene-flow. Here are two recent posts from me, Likely Male-Mediated Indianization In Southeast Asia and Indic Civilization Came To Southeast Asia Because Indian People Came To Southeast Asia. Lots Of Them. The lower Mekong region is a fascinating zone from the perspective of human geography and ethnography. Divided between Cambodia and Vietnam, until the past few centuries it was, in fact, part of the broader Khmer world, and historically part of successive Cambodian polities. Vietnam, as we know it, emerged in the Red River valley far to the north 1,000 years ago as an independent, usually subordinate, state distinct from Imperial China. 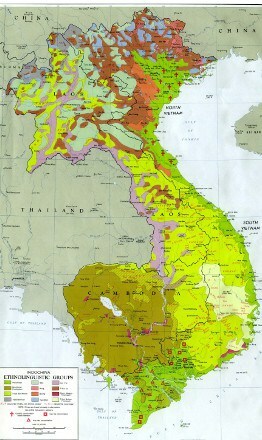 Heavily Sinicized culturally, the Vietnamese nevertheless retained their ethnic identity. 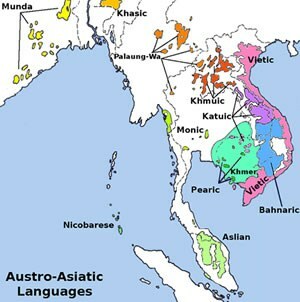 Vietnamese, like the language of the Cambodians, is Austro-Asiatic. In fact, the whole zone between South Asia and the modern day Vietnam, and south to maritime Southeast Asia, may have been Austro-Asiatic speaking ~4,000 years ago, as upland rice farmers migrated from the hills of southern China, and assimilated indigenous hunter-gatherers. But the proto-Vietnamese language was eventually strongly shaped by Chinese influence. This includes the emergence of tonogenesis. Genetically, the Vietnamese are also quite distinct, being more shifted toward southern Han Chinese and ethnic Chinese minorities such as Dai. My personal assumption is that this is due to the repeated waves migration out of southern China over the past few thousand years, first by Yue ethnic minorities, and later by Han Chinese proper. Many of these individuals were culturally assimilated as Vietnamese, but they clearly left both their biological and cultural distinctiveness in what was originally an Austro-Asiatic population likely quite similar to the Khmer. As I have posted elsewhere it is also clear to me that Cambodians have Indian ancestry. Because unlike Malaysia Cambodia has not had any recent migration of South Asians due to colonialism, the most parsimonious explanation is that the legends and myths of Indian migration during the Funan period are broadly correct. There is no other reason for fractions of R1a1a among Cambodian males north of 5%. Depending on how you estimate it, probably about ~10% of the ancestry of modern Cambodians is South Asian (the Indian fraction is easier to calculate because it is so different from the East Asian base). Well sometimes you feel silly, and it’s not your fault. Yesterday our podcast on Sundaland went live (we talked about Doggerland and Beringia too!). Though I expressed a fair amount of skepticism, I took the argument that Stephen Oppenheimer presented in Eden of the East, that modern Austronesians are long-term residents of Southeast Asia, seriously. 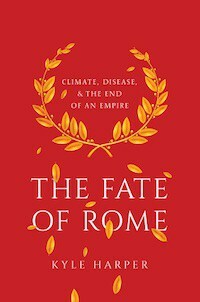 The alternative view, most forcefully put by Peter Bellwood in books such as First Farmers, is that Austro-Asiatic and Austronesian people were agriculturalists issuing out of southern China that transformed the region over the past 4,000 years (the Austronesians from Taiwan specifically, though during the Pleistocene Taiwan was connected to the mainland). The transition to full-fledged rice agriculture occurred in Vietnam ~4,000 years ago. In First Farmers Bellwood reports on an archaeological site dating to that period where skeletal evidence has been adduced to record the presence of both Northeast Asian and Australo-Melanesian types. These results make clear though that these hunter-gatherers in Southeast Asia are more similar to the Onge of the Andaman Islands, as well as the Negritos of the interior of the Malay peninsula. They’re totally in alignment with the earlier morphological results (also, readers might be curious to know that one site of the Hoabinhian culture is in Yunnan, China). This shouldn’t be surprising, as the Andaman Islands were a peninsula which extended from southern Burma during the Pleistocene. Already the most accepted model for the introduction of intensive agriculture into Southeast Asia is that it was brought by Austro-Asiatic peoples. These results confirm that. Additionally, it seems clear that Austro-Asiatic ancestry made it to island Southeast Asia, whether directly or through Austronesian admixture before arriving in island Southeast Asia. Java and Bali have some of the higher fractions ancestries most closely associated with Austro-Asiatic groups on the mainland. 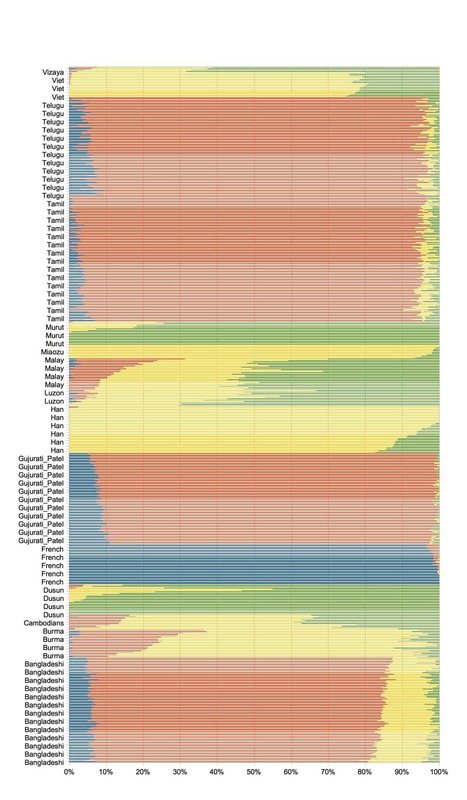 Deeper digging into the admixture distributions has long made it pretty evident that some areas had much higher Austronesian fractions in Indonesia than others, and it wasn’t just a function of distance from the Phillippines. Why? My own hunch is that Austronesians brought social and cultural systems which were better adapted to island Southeast Asia, and were more fully able to exploit the local ecology. Meanwhile, aside from a few fringe areas such as the Malay peninsula and coastal Vietnam, they were not successful on the mainland. 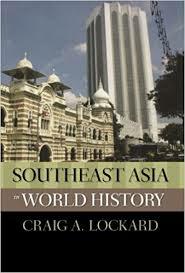 The authors also detect migrations into Southeast Asia besides that of the Austro-Asiatics and Austronesians. One element seems correlated with the Tai migrations, and another with Sino-Tibetan peoples, most clearly represented in Southeast Asia by the Burmans. The excellent book, Strange Parallels: Volume 1, Integration on the Mainland: Southeast Asia in Global Context, c.800–1830, recounts the importance of the great migrations of the Tai people into Southeast Asia ~1000 A.D. Modern-day Thailand was once a flourishing center of Mon civilization, an Austro-Asiatic people related to the Khmers of Cambodia. The migrations out of the Tai highlands of southern China reshaped the ethnography of the central regions of mainland Southeast Asia. The Tai also attempted to take over the kingdoms of the Burmans. Though they failed in this, the Shan states of the highlands are the remnants of these attempts (tendrils of the Tai migrations made it to India, the Ahom people of Assam were Tai). 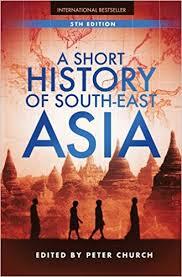 Vietnam, shielded by the Annamese Cordillera, came through this period relatively intact. It is also well known that Cambodia’s persistence down to the present has much to do with the shielding it received from France in the 19th century in the wake of Thai expansion. There are two bigger issues that this paper sheds light on. One is spatial, and the other is temporal. They detect shared drift between Austro-Asiatic people and tribal populations in northeast India. This is not surprising. A 2011 paper found that Munda speaking peoples, whose variant of Austro-Asiatic is very different from that of Southeast Asia, are predominant carriers of Y chromosome O2a. This is very rare in Indo-European speaking populations, and nearly absent in Dravidian speaking groups. Additionally, their genome-wide patterns indicate some East Asian admixture, albeit a minority, while they carry the derived variant of EDAR, which peaks in Northeast Asia. One debate in relation to the Munda people is whether they are primal and indigenous, or whether they are intrusive. The genetic data strongly point to the likelihood that they are intrusive. An earlier estimate of coalescence for O2a in South Asia suggested a deep history, but these dates have always been sensitive to assumptions, and more recent analysis of O2a diversity suggests that the locus is mainland Southeast Asia. Now that archaeology and ancient DNA confirm Austro-Asiatic intrusion into northern Vietnam ~4,000 years ago, I think it also sheds light on when these peoples arrived in India. That is, they arrived < 4,000 years ago. As widespread intensive agriculture came to Burma ~3,500 years ago, I think that makes it likely that Munda peoples arrived in South Asia around this period. I now believe it is likely that the presence of Austro-Asiatic, Dravidian, and Indo-Aryan languages in India proper was a feature of the period after ~4,000 years ago. None of the languages of the hunter-gatherer populations of the subcontinent remain, with the possible exception of isolates such as Nihali and Kusunda. The temporal issue has to do with the affinities of these peoples, and how they relate to the settling of Eastern Eurasia. All the Southeast Asian groups after the original Australo-Melanesians share more of an affinity with the Tianyuan individual than Papuans. The implication here is that Tianyuan is closer to the ancestors of various agriculturalists in Southeast Asia than just some random basal Eastern Eurasian. But, since Tianyuan dates to 40,000 years ago, and, is from the Beijing region, it is hard to make strong inferences from comparisons with only it. The heartland of ancient Chinese culture in Henan was to the south of the Tianyuan, after all. More samples are needed before one can truly tease out the pattern of isolation-by-distance vs. admixture that led to the emergence of the proto-farmer populations which settled Southeast Asia. In the podcast above one thing that came up is that a lot of genetic data indicate decreased diversity as one moves from the south to the north in East Asia. This has long been taken to mean that humans migrated north, and so were subject to bottleneck effects. I pointed out that this may simply be a consequence of admixture between two very different groups of people in Southeast Asia, elevating diversity statistics. 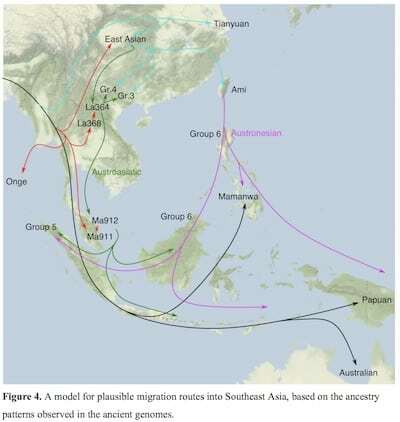 And yet as the map at the end of the preprint suggests it is highly plausible that Pleistocene Asia was marked by a south to north dynamic of migration. The Austro-Asiatic peoples who migrated south during the Holocene may simply have been backtracking the migration of their ancestors. What these results, and ancient DNA more generally, tell us is that humans were often on the move. The Pleistocene world of climate change probably meant that humans had to be on the move. South Asian gene flow into Burmese and Malays? I happen to have a data set merged from the 1000 Genomes and Estonian Biocentre which has Malays, Burmans, and other assorted Southeast Asians, East Asians, and South Asians. In light of recent posts I thought I would throw out something in relation to this data set (you can download the data here). Above you can see the populations in the data. You see Bangladeshis consistently are shifted toward Southeast Asians in comparison to other South Asians. 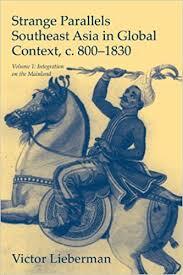 But both Burmans and Malays exhibit some shift toward South Asians. I ran ADMIXTURE at K = 4. Click the image for the larger file which shows the populations, but I will tell you what’s going on. The yellow to green represent a north-south axis in East Asia. The Han sample is mostly yellow, but there is a green component in varying degrees. This almost certainly represents heterogeneity in the Han sample of north to south Chinese. The green component is nearly ~100% in some individuals from indigenous tribes in Borneo, and balanced with the yellow among peninsular Malays. 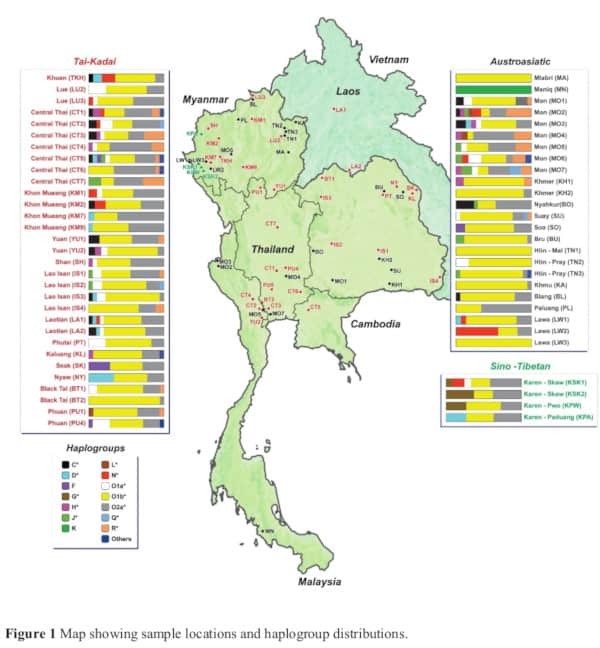 It is more at a higher frequency in Cambodia than in Vietnam or Burma, indicating the older roots of Khmers and their relative insulation from later migrations of Sino-Tibetan and Tai peoples. The red South Asian component is found in many Southeast Asians, but curious in the Burmans and Malays there is a lot of variation within the population. That indicates admixture over time that has not homogenized throughout the population. I ran Treemix with 5 migration edges and French rooted (1000 SNP blocks out of 225,000 SNPs) and they all looked like this. Commentary I will leave to readers…. 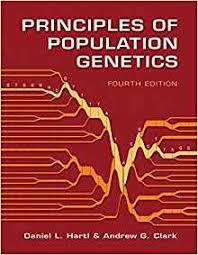 Posted in BurmaTagged Burma, Genetics, Malaysia, Southeast Asia4 Comments on South Asian gene flow into Burmese and Malays?